A traditional alkaline based floor stripper to remove even aged on polish film. 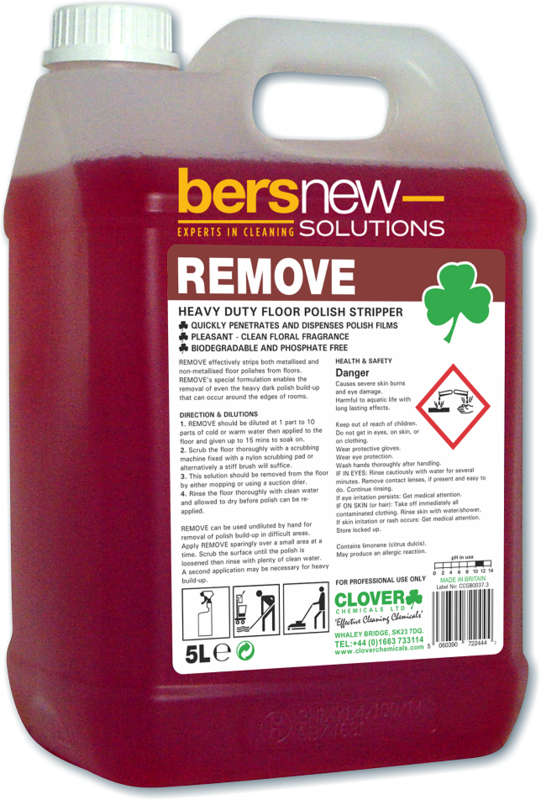 A low odour liquid floor stripper that is free from harsh solvents and ammonia that produces a clean, receptive base for a new application of polish. Effective on both metallised and non-metallised floor polishes. Ideal to strip emulsion polish from linoleum, thermoplastic floors, rubber, sealed wood and terrazzo. Recommended for use in schools, colleges, hotels, offices, airports, factories, shops, shopping centres, ferries, bars, nightclubs and pubs.